A few weeks ago I posted what's in my bag? If you didn't catch it, you can see it here What's In My Bag? and because you lot loved it so much (don't worry I love these sorts of posts too!) I've decided to share with you what's in my make up bag. I warn you now this is probably going to be a long one and I can't guarantee you'll walk away from it without some sort of eye-shadow on you! I made it a bit of a mission this year to try new products and skin care as I was stuck in a rut. I've swapped foundations, eyeliners and blushers in the hunt for my perfect make up so I'll apologise in advance for the copious amounts products your going to see! 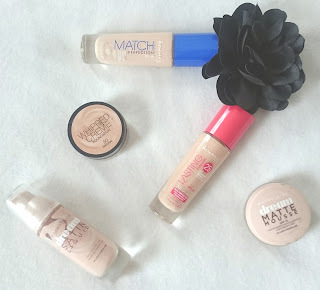 I've been on the hunt for the perfect foundation for a while now. I use primer but I always find I have to touch up my foundation during the day. I'll admit I am a massive face toucher, I sit with my chin on my hand a lot (a habit I am trying to stop!) and I know this is partially the reason but I've never found the 'one'. Until recently that is, Estee Lauder Double Wear. Oh gawd, where to begin. I got a free sample in a magazine and decided to give it a shot one Saturday. I'm hooked! Sadly with the £30 price tag it's got to wait until payday but it will be mine (oh yes, it will be mine). As you can see I currently have a fair few foundations floating about and I must admit I only use two really! My daily foundation is a mix of Maybelline Dream Satin Liquid in 04 Light Porcelain and Rimmel Lasting Finish in 200 Soft Beige basically because the Light Porcelain suits me perfectly in the Dream Matte Mousse but is far too light in the Dream Satin Liquid and while the Rimmel Lasting finish is perfect when I have a tan, it's far too dark when I don't! I also then have the Maybelline Dream Matte Mousse in 04 Light Porcelain, which was my total old faithful as I hated the feel of liquid foundations. I do still use this from time to time as it does offer a good medium coverage and is super easy to apply but it's taken a bit of a back seat to my liquids as of late. When I started my journey of trying new products my first swap was to Max Factor Whipped Creme Foundation in 50 Natural. Again this is a brilliant medium coverage foundation, that is super easy to apply and very blendable but it's taken a back seat to my liquids! I do like to mix this one with a little moisturiser to make a BB creme on the days I can't really be bothered with a full face of makeup though as it blends well into the moisturiser unlike the Dream Matte Mousse. Finally I have a different shade of the Rimmel Lasting Finish which is 100 Ivory. I brought this one in error, I didn't even swatch it as I was in a hurry, I just grabbed what I thought the right colour was and ran. We learn from our mistakes right?! I now use this when I'm going for proper contouring and highlighting and use it with a highlighter. All in all the Estee Lauder Double Wear has changed my foundation game and I won't stop thinking about it until I own one. It lasted all day without having to be touched up, was a joy to put on and I loved the matte finish! 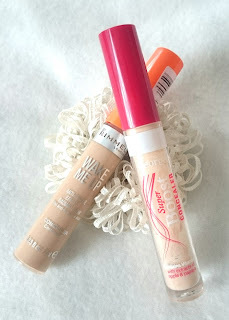 I'm rocking with two concealers at the mo! I've got Rimmel Wake Me Up and George Boost Concealer. I've only recently started using concealer as it never really made it into something I should be wearing but after hearing all the hype about the Rimmel Wake Me Up Concealer I thought I'd give them a go so started with a super cheap one which was the Boost Concealer from George. Both of these have good points but if I had to pick only one it would be a pretty easy choice. I liked the George one it was a nice cheap way into the wide world of concealer and on the whole it does exactly what it's meant too. It covers anything you need it too and it's nice to blend however I did find I used more of it to cover things up so went through a tube at a rate of knots. The Wake Me Up concealer is also on the cheaper side but I feel offers better coverage, it's also easier to match with the range of Rimmel foundations and seems to glide onto the skin a bit easier. There is only one powder in my life and I think there will always only be one powder in my life. 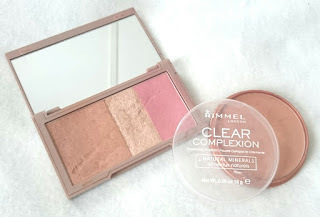 Rimmel Clear Complexion Clarifying Powder in Transparent. I hate coloured powders, I always find I end up looking cakey instead of matte. 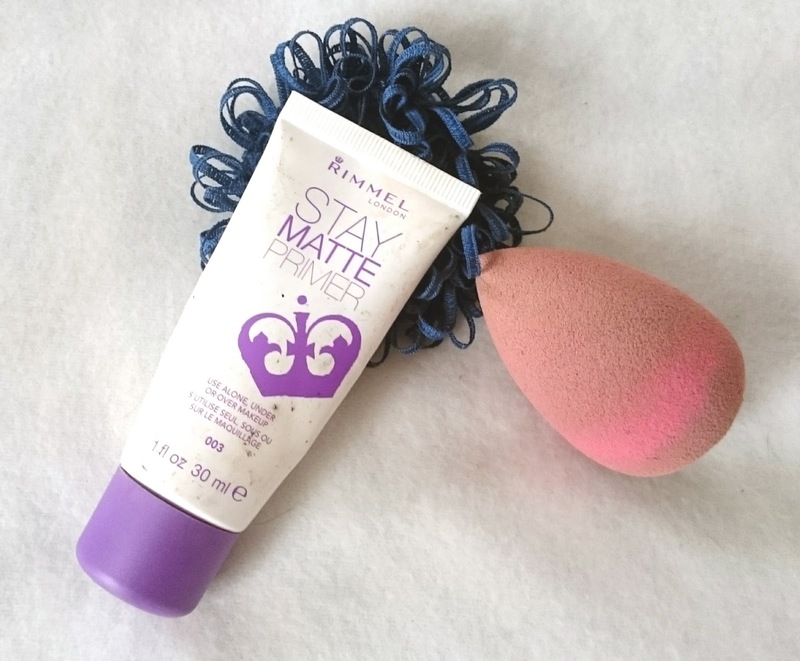 I adore this powder because I just chuck it over any shiney bits and like magic I've got a perfect matte base without adding any additional colour! I have only two bronzer's! Rimmel Clear Complexion Clarifying Powder in 022 Sun Bronze and Urban Decay Naked Flushed Bronzer. I tend to lean towards the Urban Decay Bronzer most days as it offers a really good coverage with little product plus I love the blusher that comes in the palette, so it's super easy just to use the same palette instead of searching for various different products! It's super easy to blend and leaves your with a really gorgeous deep tan colour that I adore! I tend to use my Rimmel on the days I'm going for a more natural/clean look. You really have to use a lot of product to get a deep colour so it's perfect for touch ups or if you just want a hint of bronzer. It's definitely a product I'll be keeping around with that said though! I've used this little beauty for years and although it's not waterproof (although I'm pretty sure they offer a waterproof version) I love it and it's remained my fave over all the other liquid's I've tried! I love the brush that comes with this, it's sturdy enough to be able to draw lines but thin enough to be able to get pin point perfection. It doesn't crumble or flake and stays jet black all day long without having to build the colour up, one sweep and your good to go! 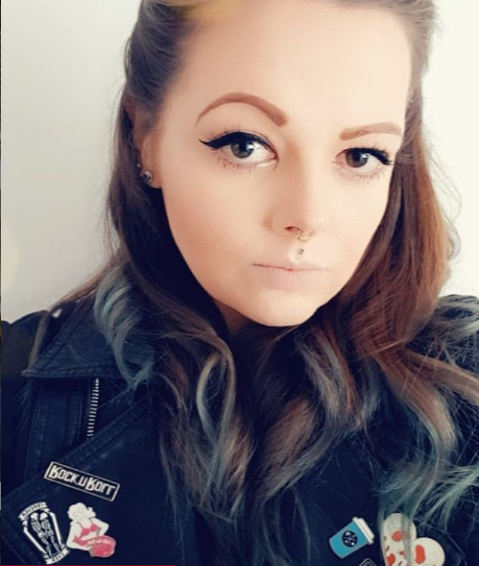 I wear eyeliner every single day and I've tried hundreds of liquid liners from Mac to Barry M and for me, nothing has even come close! I wasn't blessed with nice eyebrows. Well, I was once but in my Goth days I tended to pluck them suckers until they were no more and replace them with a black line and a few stitches for luck. So because I was a teenage Ghoulscout I now have to help out the eyebrows I do have or look like a spoon. I've currently got two on the go as I was raving about the more expensive Benefit BrowZings when I was told about Beauty UK High Brow and at a fraction of the price I had to try it. The winner for me is Benefit, while I hate their mascara's I adore this product. 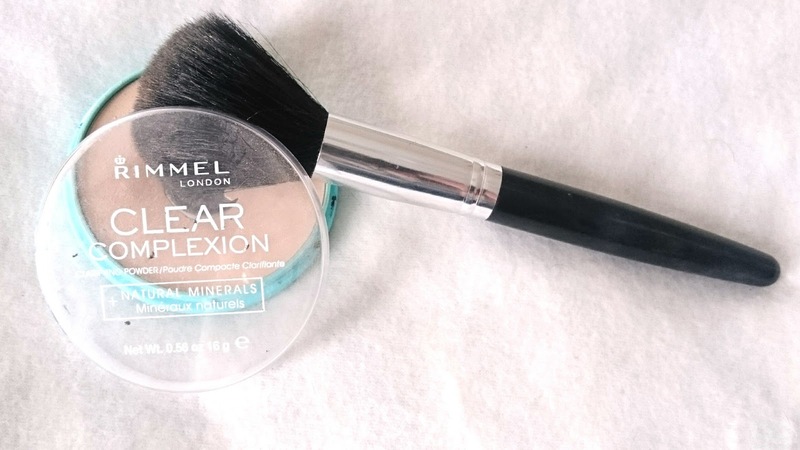 The brush is perfect, the coloured wax makes applying the powder a walk in the park, it doesn't slide off your face and a little goes a long way. I've had this beauty since Christmas and although I'm starting to run out I reckon I still have a good 5 months worth of product yet even though I use it every day! The Beauty UK version is basically the same, it even comes with more colour options in each palette which is a nice touch, however I just don't like it! I found the brush was too stiff and difficult to use and the colourless wax made it hard to see where I need to put the powder. 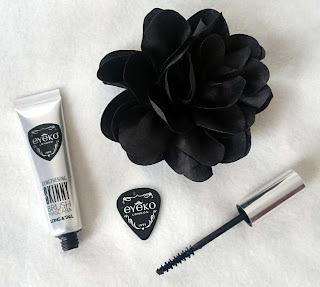 I really wanted to love this product as I had been told such great things and it's £20+ cheaper than it's high end competitor but I think in this instance, you pay for what you get! I currently have two blushers, which is unusual for me as I normally have a small mountain of them hidden away for rainy days. I'm currently using both quiet regularly which are MAC Simpsons Blusher in Pink Sprinkles from the amazing Simpsons range and the blush from my Urban Decay Naked Flushed Palette in Strip. I'm willing to admit that the Simpsons blusher does nothing for me, but I had to buy something from the range as I was super excited for it's launch and I knew it would be one of those products that I would use as I already have far too many lipsticks (if that's even a real thing!). It's a gorgeous pink colour but you do have to build the colour up and in all honesty it doesn't really suit me but I love it so I wear it regardless! 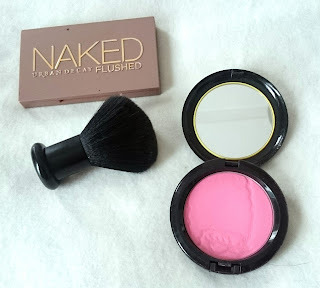 The Urban Decay blusher is my most used as it's a lovely colour, highly pigmented and super blendable. It's also super easy just to use one palette and when I'm half asleep and getting ready for work, it's perfect! I'm really not an eyeshadow kinda girl. I always love how it looks on other people but hate it on myself! 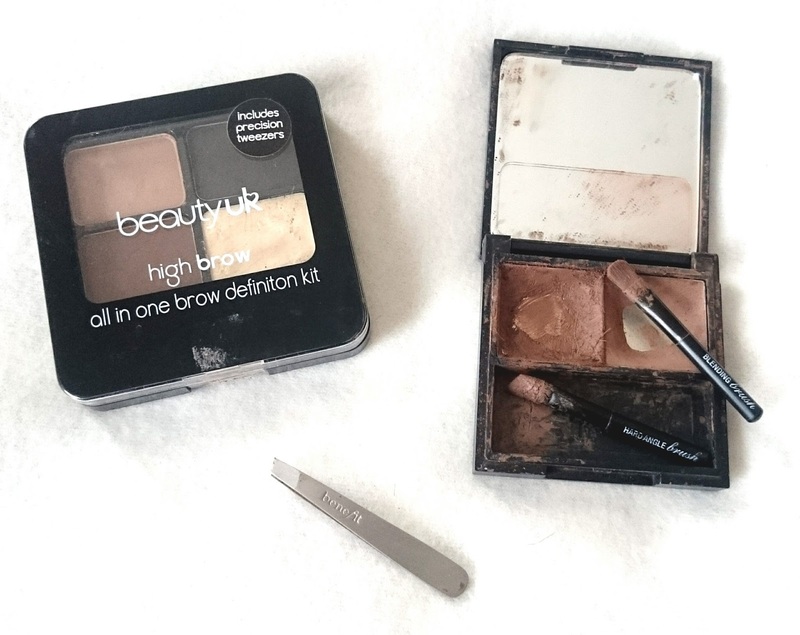 I do own a two palettes with this said and again one was brought purely because I fell in love with the packaging and hasn't really ever been used to it's full potential. This said beauty is the MAC Cameo Eyeshadow Palette from their Keepsakes Collection. 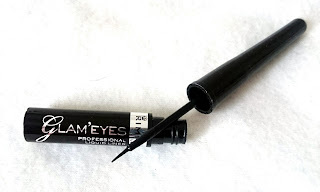 It offers some gorgeous neutral, gold, brown and black tones perfect for brown eyes and it has come in handy a few times. I do love the metallic gold that's in the kit, it's perfect for those days I have decided I wanted to wear eyeshadow and the black is gorgeous. 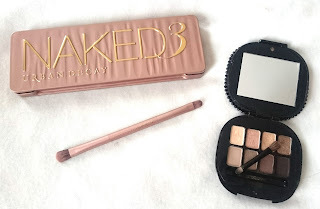 The palette I do tend to use more often is the Urban Decay Naked 3 Palette, need I say more? For a non eyeshadow person this palette is perfect. It offers some gorgeous colours that blend super easy and have a touch of colour for those days I want to wear one without making a massive deal about it but it also has a few colours for those days or nights out. I know the Urban Decay Naked Palettes always get rave reviews and I'm sorry to say I have nothing different to say! I love it! Primers are something I never bothered with until a few months ago! Shock horror, I know! I was always convinced it wouldn't make that much difference and it was just a trend, don't worry I've seen the errors of my ways. I use one primer, I've only tried two but I found they were pretty much the same. Rimmel Stay Matte Primer is now my primer of choice. It definitely makes a difference to how long my makeup lasts and to how it looks. I also find in the warmer weather it also helps stop my foundation sliding off my face which is a plus! 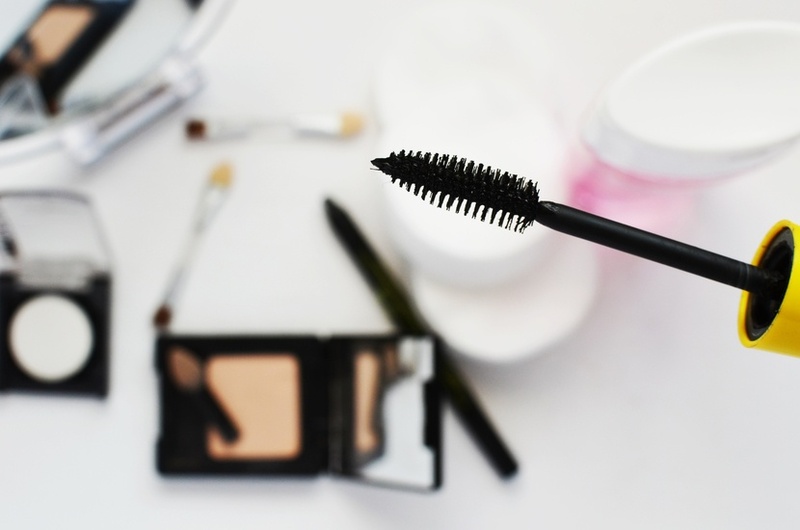 It sinks in super quick, helps give me a flawless finish and makes my makeup stay on longer, what isn't there to love?! So that is what resides currently in my makeup bag! If you have any suggestions on products I'd love to hear them! I've noticed we use the same Rimmel foundation and liquid eyeliner. I love them, I've tried several different brands before, but those are my favourite!